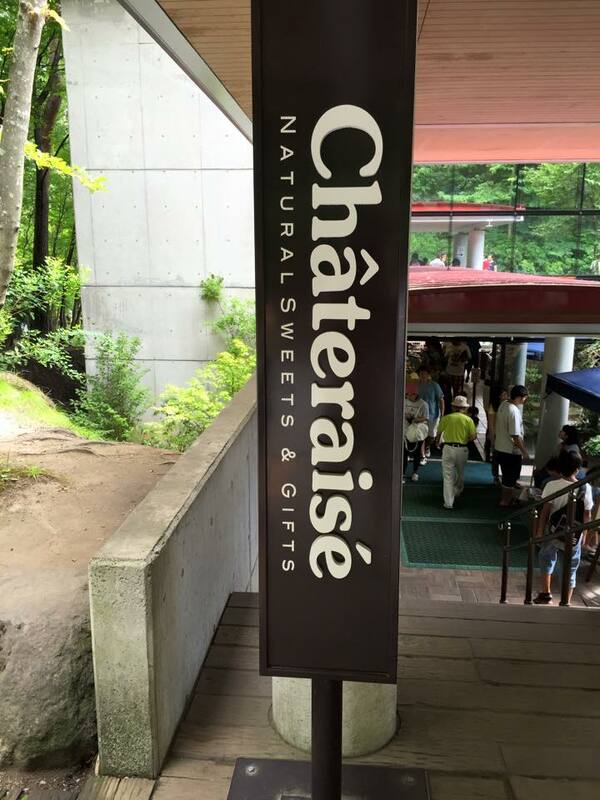 Because of the popularity of children, a place absolutely impossible to remove on Yatsugatake trip, it is a factory tour of Châterese. 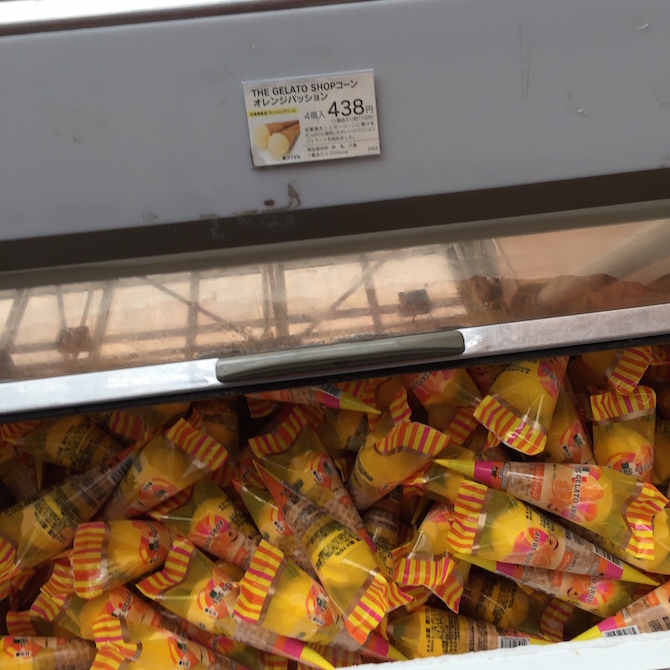 Anyway, Ice is all you can eat free of charge. . 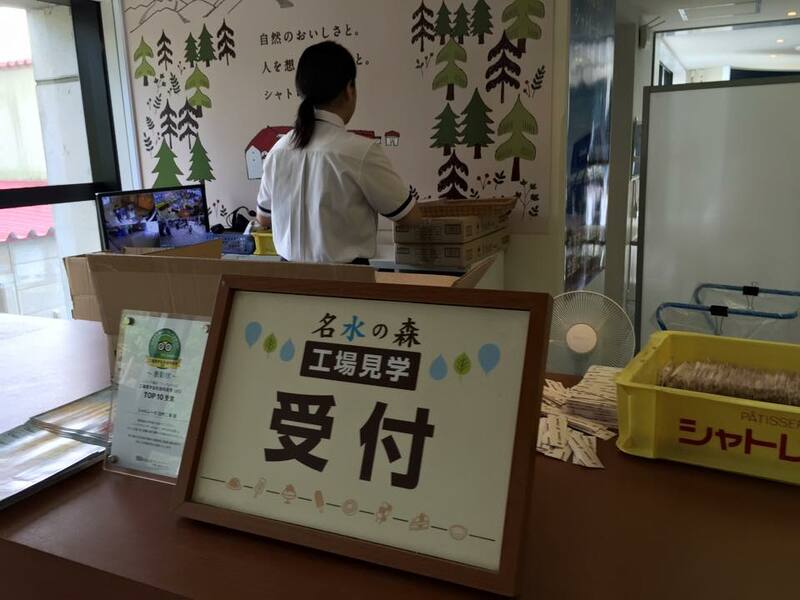 Even though August in the summer vacation comes first in the first place, among them, the mountain days on August 11 and the Bon festival are included in the highest ever. A few years ago we had a reservation system with reservation system, we were tired of going back to the tourists who do not know the reservation system, since 2015, it was changed to a factory tour by first-come-first-served basis from 2015 It was. Here is the description of the official website in August 2015. 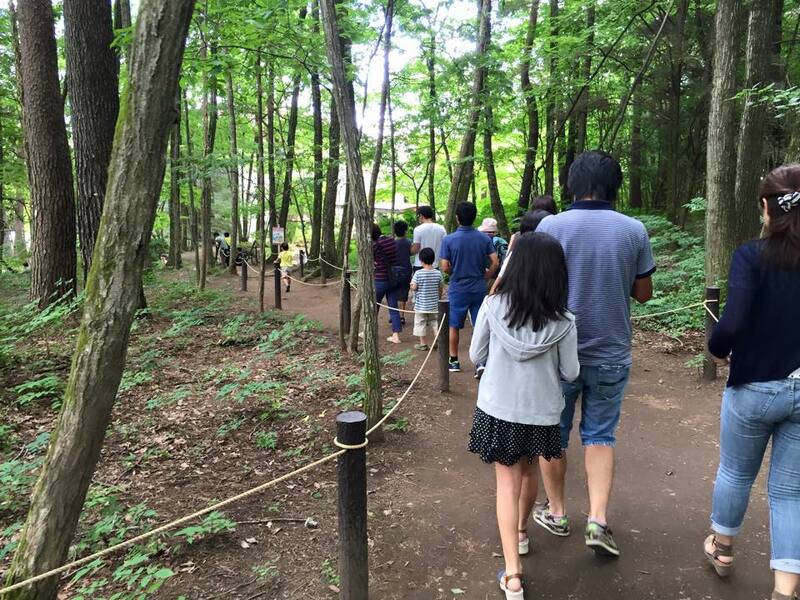 For the above period, it will be open only for free tour (reservation unnecessary). On Saturday, July 18, 2015 to August 31 (Monday), more congestion than usual is expected. 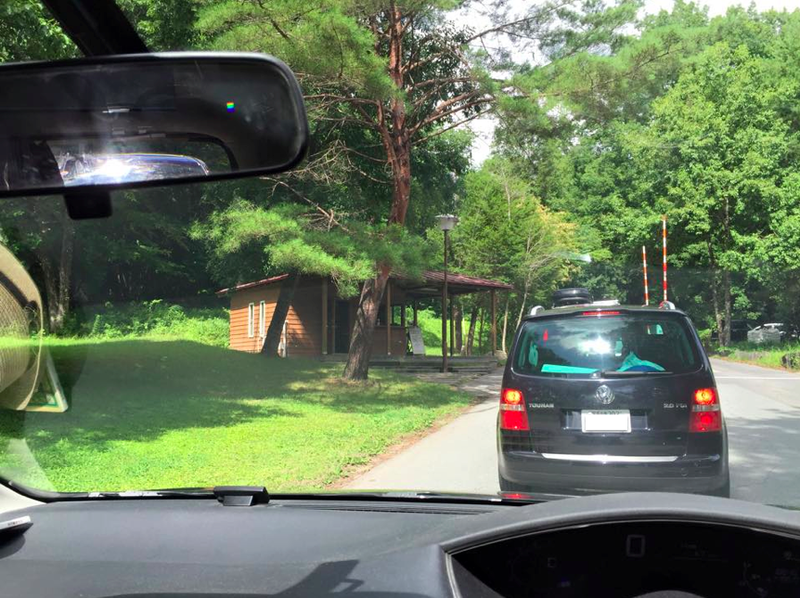 Depending on the congestion situation, please be forewarned in case you wait for a long time before entering or you may restrict entrance. We do not accept group bookings (bus, minibus) during the period. 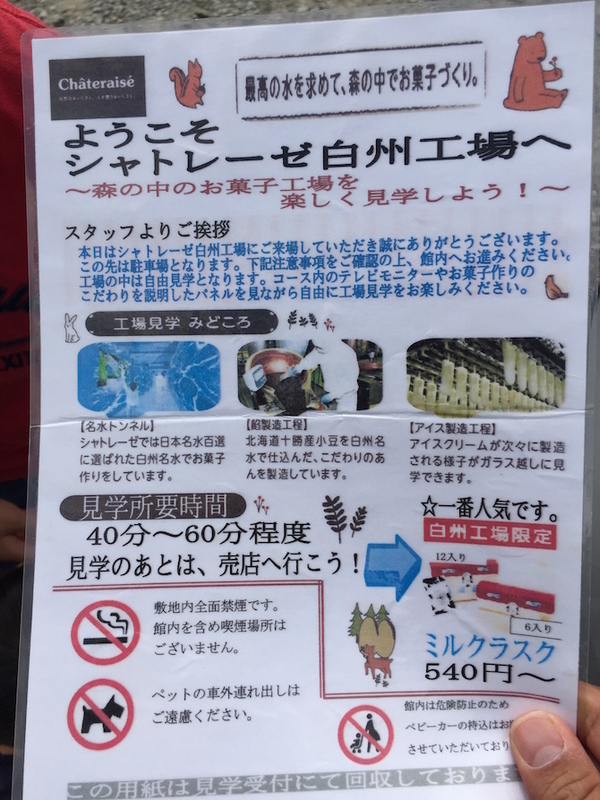 For inquiries about the tour of Hakushu factory, please contact the following telephone number. ※ Please confirm from here for factory visit business days after September. Checking in 2017 seems to be the same policy. 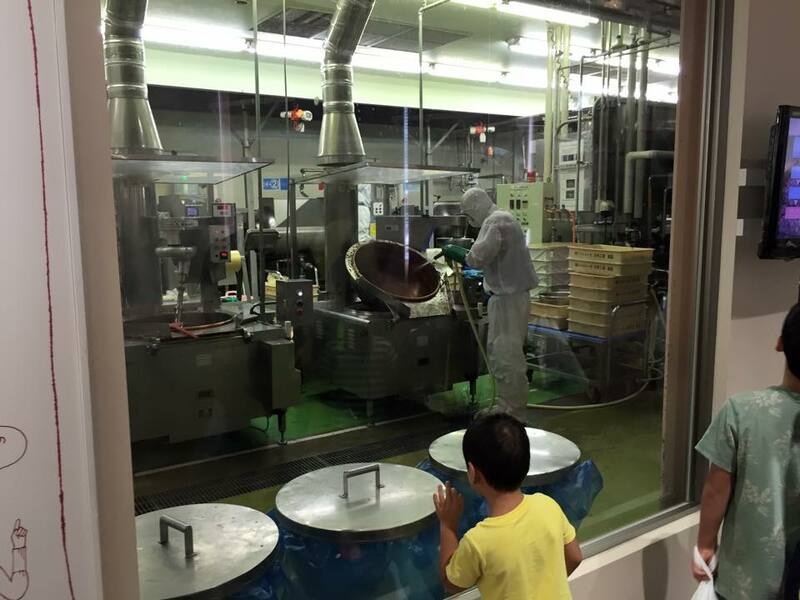 I will teach you how to capture the factory tour of Chaterasse during such Bon Festival period. I do not say bad things. Let ‘s arrive at the site at 8 o’clock. 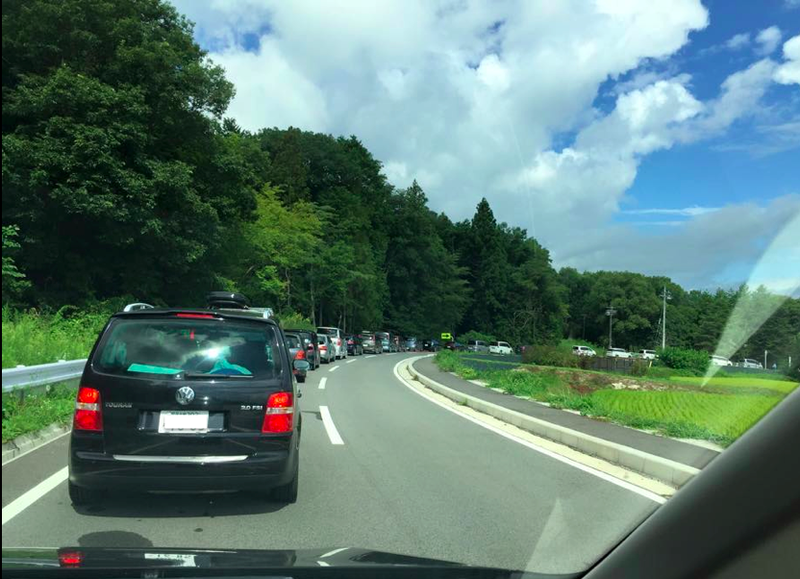 Although it is free, although I personally think that it is not worth waiting for more than an hour, if it arrives at 8 o’clock, it seems that the queue waiting for the parking lot is not so long yet. 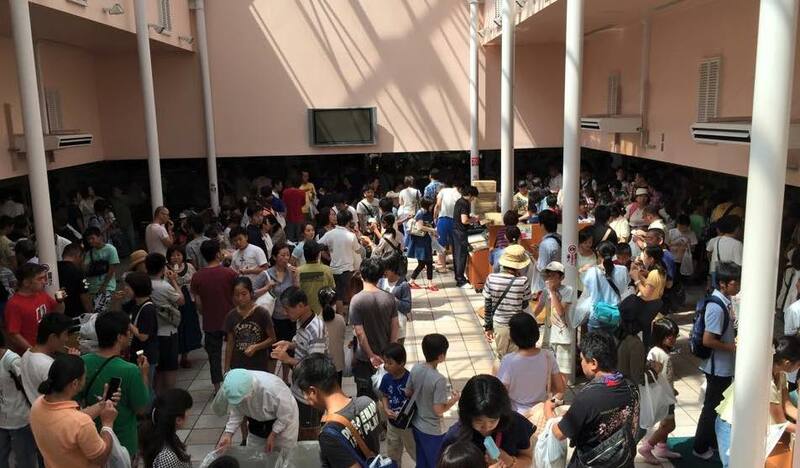 We knew that it would be crowded, so we arrived there at 8:30 am, open from 9 o’clock. However, this state already. The placard held by a security guard displays ‘wait one hour’. When I took a glimpse there was a placard “Waiting for three hours” next to it. You can expect several hours later. By 9 o’clock, we finally arrived at the entrance of the factory. 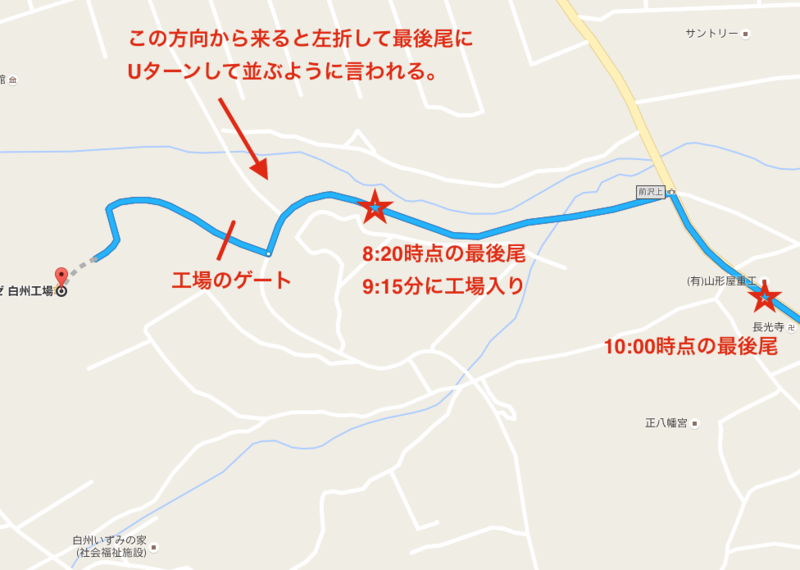 In this way, since there is only one lane to the parking lot of the factory, there is also a matter of commuting to the employee, so even if you arrive at 8 o’clock, you are expected to get in. At the gate here, after receiving the number of people, I will receive the following cards. 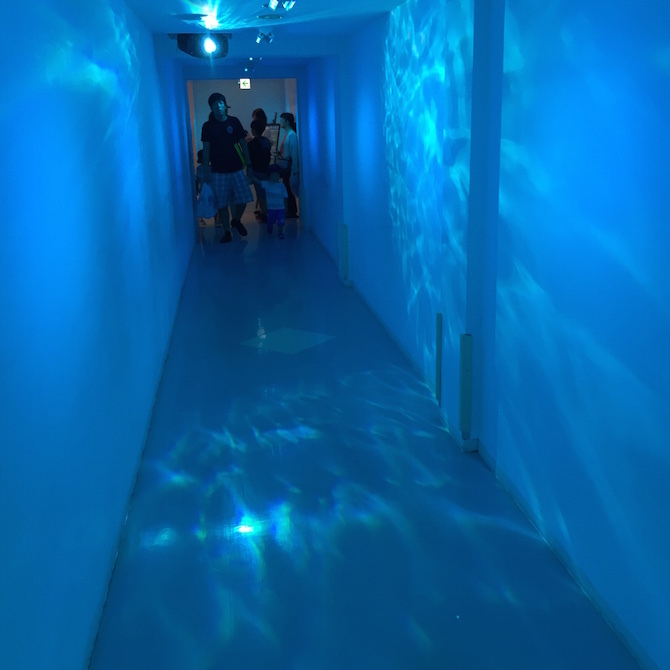 It takes 40 – 60 minutes to visit, but since almost nobody sees it properly and goes straight to the ice tasting corner, it is actually about 10 minutes. Because the parking lot is quite large, I think that it will not take much time to find it. As I get off, a group of people goes towards the building somewhat, so I will follow. 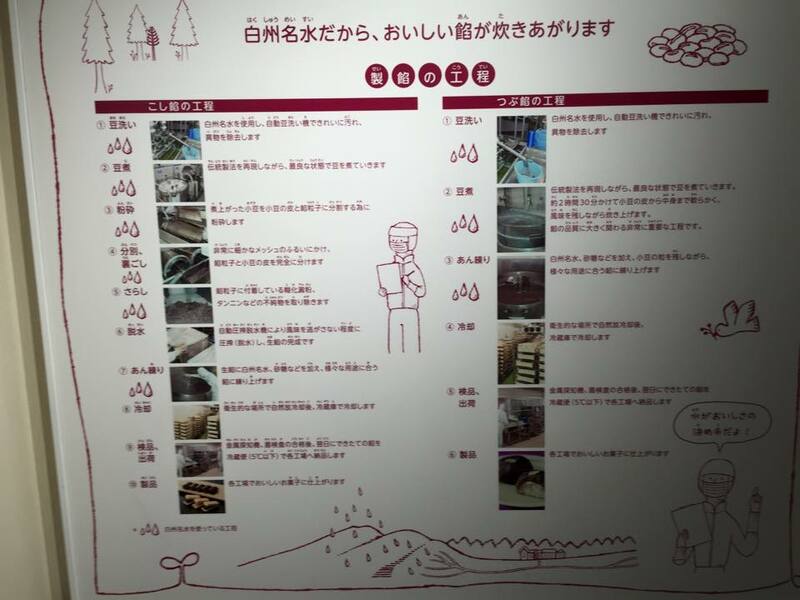 In addition, once you enter the factory, the toilet becomes very crowded (especially the girls’ toilet), so let’s go to the toilet next to the entrance in advance if possible. Reception. 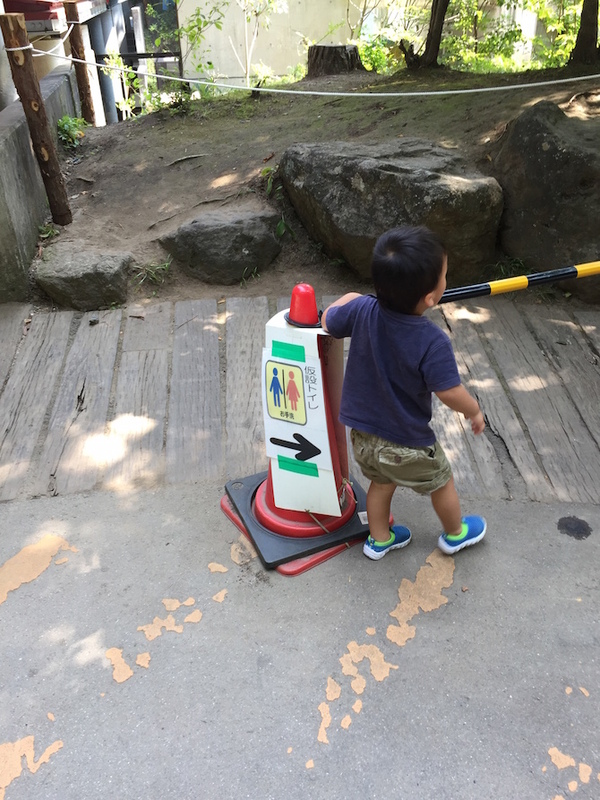 However, because I quit the reservation system, I will just go through this place. When I went there in 2016, there was such a corridor which imagined the name water. Factory tours can enjoy how to make ice while watching the panel and actual factory site. Well, few people are reading properly. This factory tour is like this. As we go ahead, the place will finally appear. Awesome people! It is! 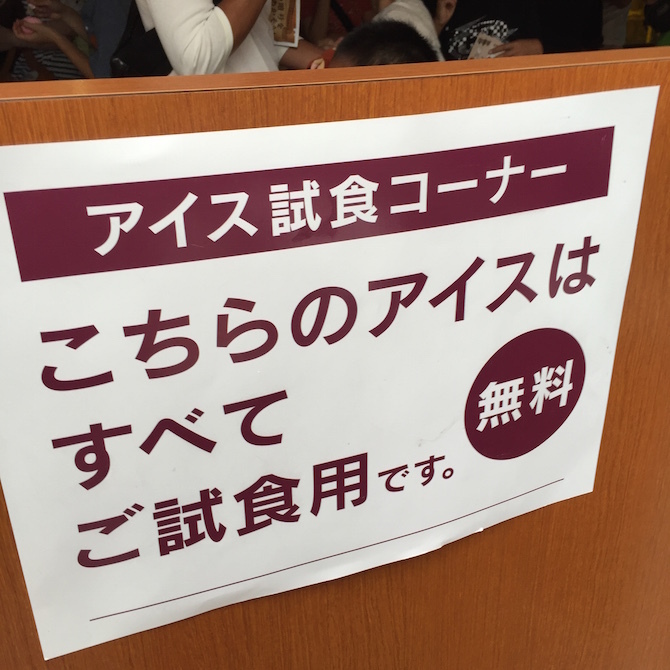 300 people are waiting. 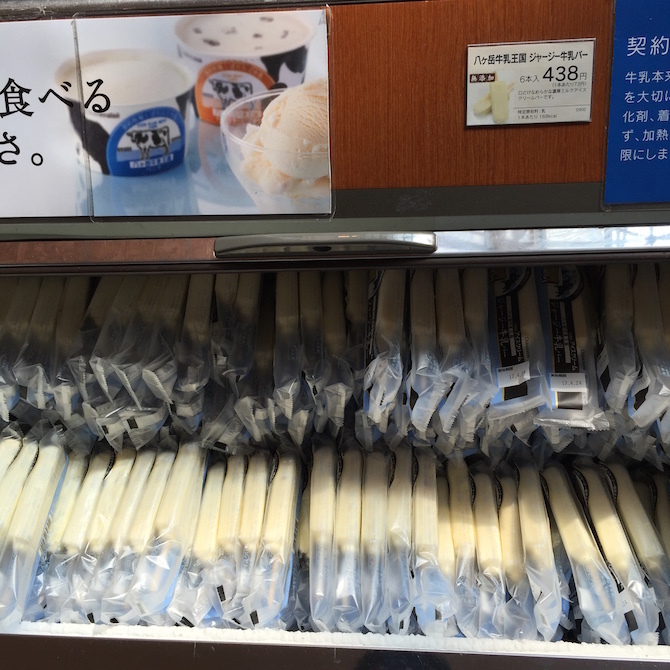 There are about 8 types of ice creams, but you can eat it without permission. 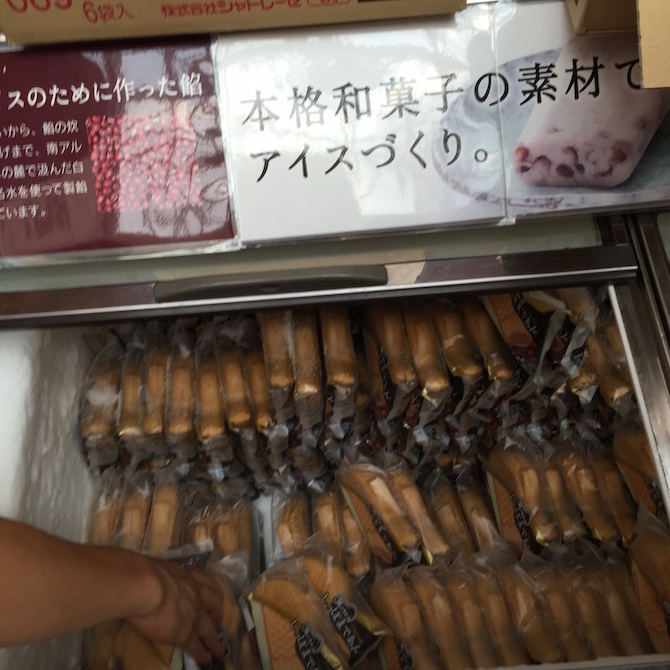 I gave up with six, but children in elementary school higher grade had eaten more than eight. It’s quite sweet and comes to my belly. Jersey milk bar. This ice was the most delicious this time. For your information, let me state the traffic jam situation and the surrounding map of the awaiting observation of this Chateletase as follows. The blue line is the row of cars. Our house began to line up at 8:20, and it was around 9:15 that we could enter the factory. When I left the factory at 10 o’clock, the row of traffic jams stretched to the national highway, where the last tail was not understood at all. Particular attention should be paid to the direction of Nagano from the direction of Nagano, and if you set it in Navi, it will appear at the arrow of the following map with less probability. A guide guard is standing in this corner, and you are told to turn left and line up at the end to avoid interrupting. Because the road to the national highway is a single lane, the U turn is not easy, and a bit lag behind the line will extend to the national highway, and it gets caught more and more as it becomes like this. Thinking a lot, I strongly recommend that you plan to climb from Maesawa top and arrive at the last tail by 8:30 no matter how late.